As widely expected, the ECB held its benchmark interest rate unchanged at record low levels. However, the ECB President failed to provide any details about his plan to buy private debt as though he either got cold feet or thought that just announcing it would be enough. The reaction in the currency market was a rally of 49 points for the euro against the dollar to $1.2668. It remains to be seen whether that is going to be the last of its gains. 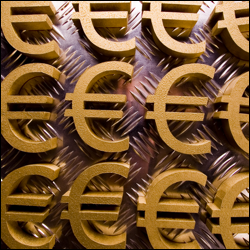 Divergent central bank policy kept the dollar on the offensive against its European counterpart ahead of today's ECB meeting, with the EUR/USD pair losing 5 points to $1.2624. The Fed is set to end its QE programme and Janet Yellen is thinking about when to raise rates, whilst the ECB has almost no choice but to consider easing its monetary policy even further. The shared currency resumed its slump against the dollar yesterday, falling to its weakest intraday level for two years at $1.2571 before rebounding slightly to end the day 54 points in the red at $1.2631. The move was sparked by yet another slowdown in Eurozone inflation which continued to pile pressure on the ECB to act and add further monetary stimulus. Despite the EUR/USD pair closing rather flat at $1.2685 yesterday, a generally weaker euro makes imports more expensive and bolsters exporters' competitiveness. It also makes the ECB happy as it should help their efforts to kick start inflation. This is why the central bank will probably keep the benchmark rate on hold at 0.05% and the deposit rate at -0.2% at its meeting on 2 October. Amid the current divergence between the central banks on the both sides of the Atlantic, the shared currency dropped even lower against the dollar, with the pair now sitting at its weakest level in 22 months. It was part of the ongoing speculation the Fed will move before the ECB in hiking rates which pushed the EUR/USD pair to $1.2683 and is still on the back foot this early morning.